The gentle leaves that grow out of the brim adorn the body of the Hat, and graduate as stems of twisted knit stitches towards the crown. 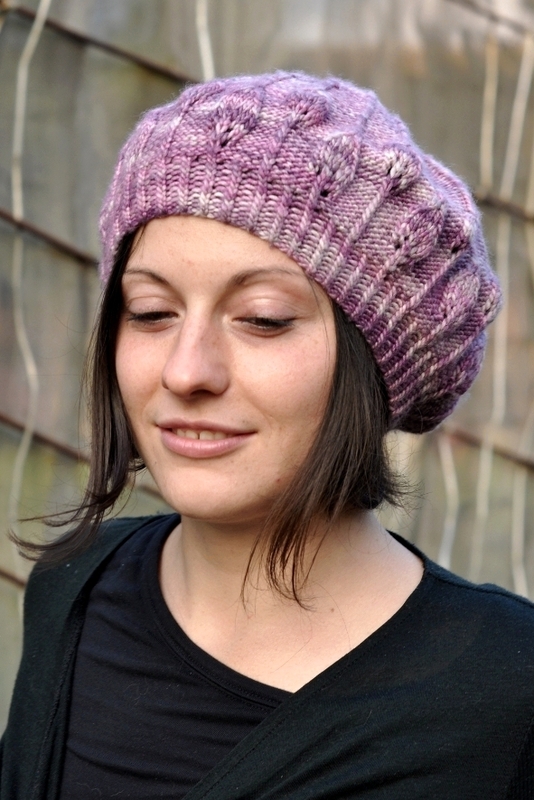 Drapey and slouchy, this beret is full of charm. DK weight, single ply yarn.